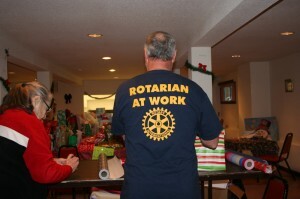 Gifts will be wrapped during the December 12th weekly meeting. Additional help is still much needed–If you are interested in volunteering with the event or with shopping for the gifts please contact Carrie Ludtke. Come to the meeting this evening and help wrap presents for the upcoming Nutcracker Program. There will be food and eggnog served and there will be surprise musical performance. Bring a good pair of scissors and some tape.